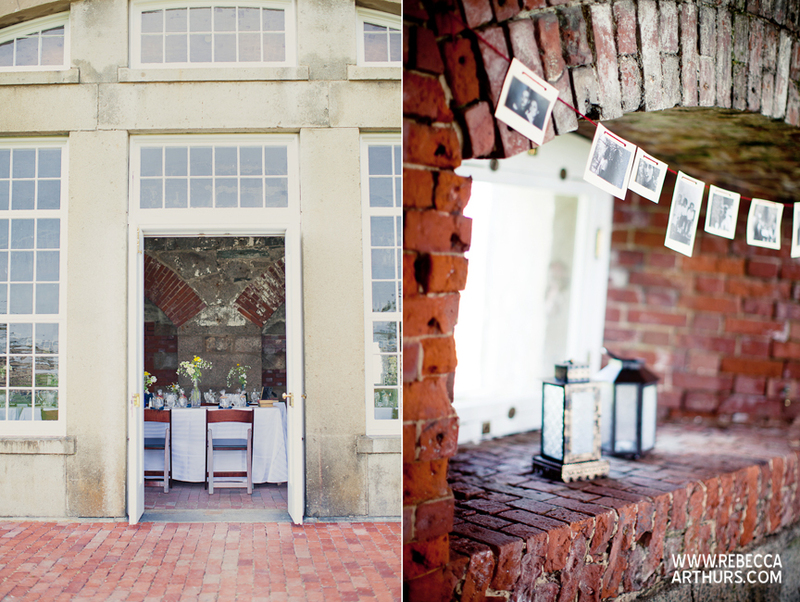 see more Fort Adams wedding photos on Rebecca Arthurs' wedding photography blog. You can choose from a variety of locations to host your event. The impressive architecture and sprawling lawns provide a number of options to complement your event plans. Wedding photographer, Rebecca Arthurs writes about a recent wedding, "The evening ended with family and friends dining by candle light inside the Fort Casemates with arched, brick ceilings and granite walls, and eating slices of lemon bars, cookies and cake!"